Produced by microbes on a large scale, methane is an important alternative fuel as well as a potent greenhouse gas. 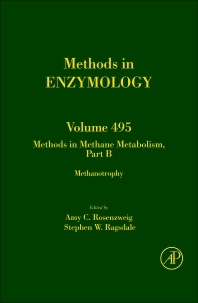 This volume focuses on microbial methane metabolism, which is central to the global carbon cycle. Both methanotrophy and methanogenesis are covered in detail. Topics include isolation and classification of microorganisms, metagenomics approaches, biochemistry of key metabolic enzymes, gene regulation and genetic systems, and field measurements. The state of the art techniques described here will both guide researchers in specific pursuits and educate the wider scientific community about this exciting and rapidly developing field.